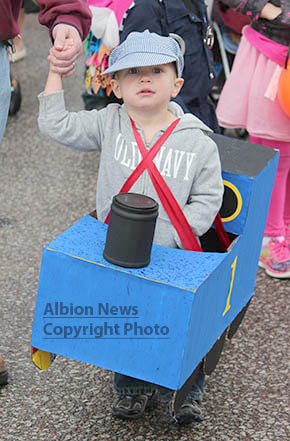 Despite some chilly rain showers, an estimated 350 children took part in the Albion Chamber of Commerce downtown trick-or-treating event last Friday, Oct. 31. 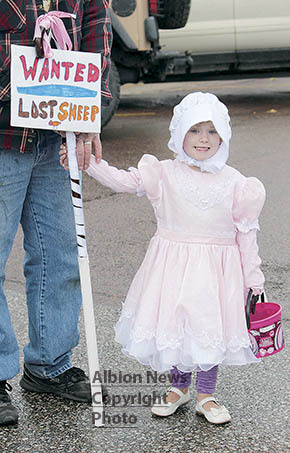 Treats were handed out by more than 30 local businesses, and many local business owners were also dressed for the festivities. 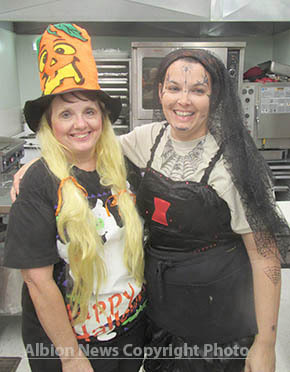 Additional Halloween events were held at GSS Albion Samaritan Estates, Harmony Homes and Albion Pizza Hut.